At Long Family Dental, we know that the smiles of our Cleburne and Midlothian patients are important! A smile riddled with multiple cosmetic flaws, such as dark spots, chips, cracks, and gaps, may cause you to hide your grin. Or maybe you have broken, misshapen, or crooked teeth that need attention. With porcelain veneers, our cosmetic dentists can give you back your smile—and your confidence. Dr. Bob and Dr. Chris will work tirelessly to ensure you get the smile you desire with the convenience and beauty of porcelain veneers. Why Choose Long Family Dental for Porcelain Veneers? So what are veneers? Veneers are dental coverings placed over the outside (visible area) of the teeth. Veneers are usually only done to the part of the teeth that are visible when talking or smiling. To receive your porcelain veneers—and your brand-new smile—it usually takes two appointments at either our Midlothian or Cleburne locations. The veneers will be fabricated at a trusted dental laboratory. Long Family Dental seeks perfection in every aspect of your dentistry, and that includes working with reputable establishments to ensure your proper care. At your first appointment for porcelain veneers, we prepare your teeth, take impressions, and apply temporary coverings. Since your veneers are handcrafted, it usually takes two to three weeks before your veneers are ready for placement. The laboratory-fabricated veneers are usually made using porcelain or pressed ceramic and are very attractive in nature. During your second appointment at Long Family Dental, we will remove your temporaries and bond your permanent veneers to your teeth. 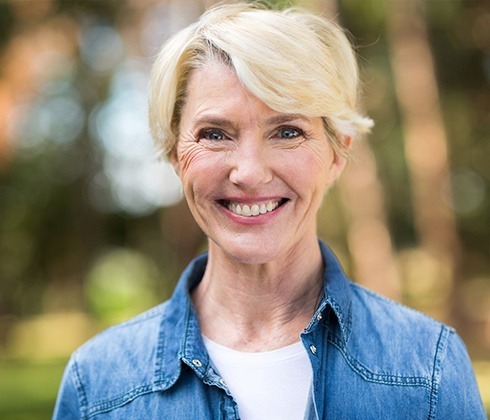 For patients in Midlothian, Cleburne, and beyond, the cosmetic professionals at Long Family Dental can use porcelain veneers to transform your smile. Get your smile consultation today—request your appointment!